In the letter, Mr Modi also wrote he was "baffled and in a state of extreme confusion" as the passport authority had written to him, informing that it had suspended his passport after receiving a communication from the ED. 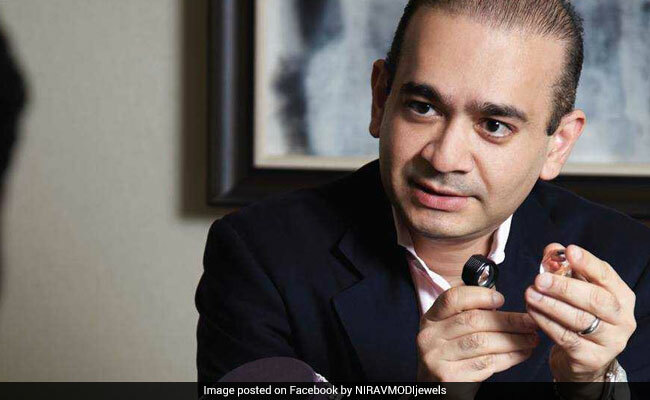 Mumbai: Diamond trader Nirav Modi, who is at the centre of the Punjab National Bank (PNB) scam running over Rs 11,000 crore, has alleged that he was right in being concerned about the "unfairness of process", going by the way a woman employee of his firm was arrested. Mr Modi, against whom a special court on Saturday issued a non-bailable warrant (NBW), wrote two letters to the Enforcement Directorate (ED) in response to summonses last month. "A lady executive (Kavita Mankikar) of my organisation has been arrested by the CBI illegally, in complete violation of the Criminal Procedure Code. And when the liberty of a female is not been priced (sic) by the investigating agencies, my concern for my safety and for the unfairness in the process is not in any manner misplaced," Nirav Modi wrote to Archana Salaye, Assistant Director of ED, on February 26. Ms Mankikar's lawyer had claimed that she was arrested at 8 PM, while as per the law, a woman cannot be arrested after sunset. Mr Modi wrote two letters to the ED, one on February 22 and another four days later. The ED had issued summonses to him on February 15, February 17 and February 22, asking him to appear before the agency. However, Mr Modi, who is believed to be in the US, did not join the probe. In the letter, he said he was "baffled and in a state of extreme confusion" as the passport authority had written to him, informing that it had suspended his passport after receiving a communication from the ED. "...your good self sought to have me join the investigation. On that, I wrote to the passport authority, requesting it to provide me with reasons for the suspension and proposed revocation of my passport. But surprisingly, within minutes of my reply, the authority revoked my passport," Mr Modi said. The lightning speed with which the passport authority acted showed that the action was pre-determined and his "fate" was already decided, he wrote in the first letter. In the second letter, he said, "I am very engaged in trying to deal with the businesses that I am involved with outside India. "I am trying to ensure that so far as possible, the position of these business creditors, including banks and employees, are properly considered, given the difficulties these business are experiencing. "I have also been very concerned by the tone of the press coverage and comments that have been made by politicians, which have led to me having concerns for my own safety." A special court for the Prevention of Money Laundering Act cases in Mumbai on Saturday issued NBWs against Nirav Modi and his partner Mehul Choksi, in connection with the PNB scam.